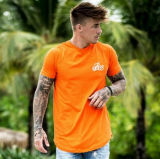 Discount codes and voucher codes to use when searching for men's clothing and brand fashion at beeinspiredclothing.com. Based in Glasgow, Scotland, Bee Inspired Clothing sell a range of brand men's fashion which includes Jeans, Tops, Tee's and Footwear. Get free next day delivery with a minimum order spend, savings of up to 70% in the sale and gift vouchers on offer from as little as £10. Now the detail: Get free Next Day DPD Delivery on orders over £60 when you order Before 4pm Monday to Friday. Bee Inspired Clothing concentrate on only one thing, men’s clothing and concentrating on the younger man. There’s not an awful lot to choose from and the product range is minimal but many customers will like the fact that there’s not a bewildering amount of products to confuse the mind. The hand picked selection of men’s offers styles and colours to suit most tastes and is ultra modern in styling. The main focus is with tracks, tees and jeans plus shorts and tees for the summer. There’s a great selection of clothing on half price or less and free next day courier delivery is available free of charge on orders subject to a minimum value. The beeinspiredclothing.com web store is voucher code enabled and users have the potential to make savings as and when the retailer releases any promotions. 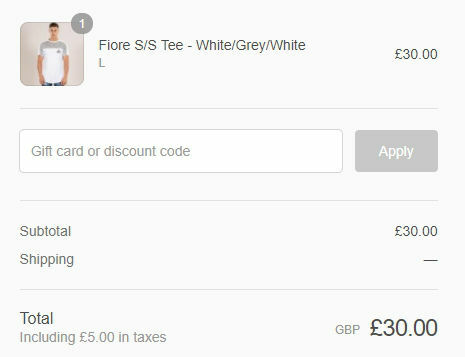 To use a code you have to skip past the basket stage when you’re ready and proceed onto the checkout. On the right hand sidebar is the order/cart summary, here you can enter your gift card number or discount code. Hit the redeem button to validate and view the order cost reduction. Users have to create an account to sign up to the newsletter which is great if you intend to order right away, a disadvantage if you don’t and just want to keep up with the latest news and discounts. The social offering is good with exposure on Facebook, Twitter and Instagram with a huge following on all three networks. The social content is fresh and constantly updated. Next day courier delivery is available and is free subject to a minimum orders charge, no code required. Standard delivery is offered on a 2-3 day service. Delivery information is a bit sketchy the costs listed on the delivery information page. Returns are allowed but the costs are the responsibility of the customer. Payment can be made using credit/debit card or by Paypal. The full contact address can be found on the footer menu at the bottom of the page. There is a ‘contact us’ link which takes users to an online contact form. Unfortunately I couldn’t find a contact telephone number which is disappointing for those who would like to speak in person.